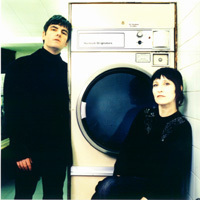 Deborah Wykes and Paul Kelly met whilst taking sabbaticals as members of St. Etienne's band in 1994. Both had been writing their own songs and discovering a mutual love of The Shangri-Las and Love's "Forever Changes", formed their own band, BIRDIE. As a teenager Debsey moved from London to Cambridge and while at school formed Dolly Mixture with friends Rachel and Hester. They signed to Chrysalis Records soon afterwards and supported Dexy's, The Fall, The Jam and their heroes The Undertones. Dolly Mixture remain an acknowledged model and influence for many girl bands today, including Sleater Kinney and Chicks. Paul had been a guitarist with the now semi-legendary East Village. Part of the early Heavenly roster, they regularly toured with label mates Flowered Up and Manic Street Preachers. Their early records now fetch three figures in Japan and the U.S. The first BIRDIE recordings were made on a portastudio until enough money was scraped together for Debsey and Paul to record in a small East London studio. The results included two songs, "Port Sunlight" and "Spiral Staircase", which impressed Jason Reynolds from Sub Pop who released it as a 7" in the States. Back in England, they signed to It Records and by late '98 Debsey and Paul were back in the studio recording the "some dusty". 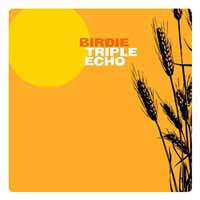 The album "triple echo" has the same magic as a love poem: it will put a shy smile on your face and you will start humming along to the songs. songs of warmth and tenderness; music that gives you the same feeling as a whole day spend lying in bed. them. it was not love at first sight but it is very a passionate and creative one. birdie released the breathtaking debut album some dusty and a few beautiful singles - and of course their daughter sadie was born. Debsey told us about the extremely hot summer they had experienced in london and it was paul who said "please rain fall". we all laughed and were remembered of the classic track by the sea urchins. stories about sarah records were shared and when it was time for the both to leave we all agreed that this wonderful song simply needed to be covered. 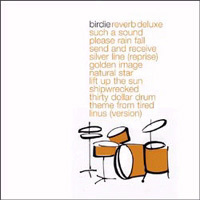 That's what birdie did - a few weeks after their tour with saint etienne they recorded a very personal and lovely version of please rain fall. together with other previously unreleased songs and long deleted b-sides this masterpiece appears on an album exclusively released via apricot records. it's a collection of warm and tender moments - songs you can put on in the middle of the night, a soundtrack for stepping outside to watch the stars. the song natural star feels like a shy hug by someone you've fancied for years, the melody of lift up the sun glows and shimmers like a bracelet with diamonds. it's a wonderful record. and when the first days of autumn appear we'll take the songs as a remembrance of summer.